Leaf cutter ants or sometimes "parasol" ants are native to Central and South America of tropical regions. Next to humans these ants create the most complex and the largest societies on earth. They are farmers as well that cut certain types of leaves and bring them to their nest to chew. They feed the unique fungus that is endemic to each species of ants. The fungus is consumed by the ants and their larvae. 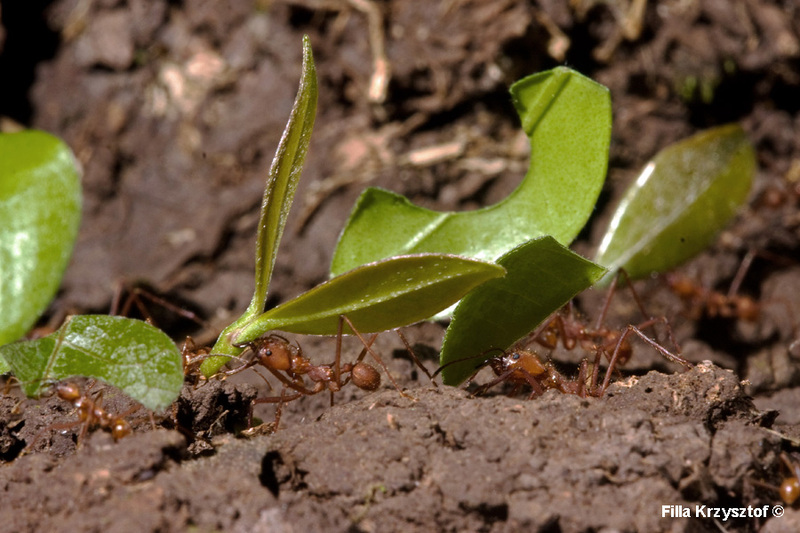 The ants unlike humans never destroy a plant they feed on. Although they cause destruction of some plants they play important role for maintaining a healthy ecosystem by distribution of soil and nutrients.